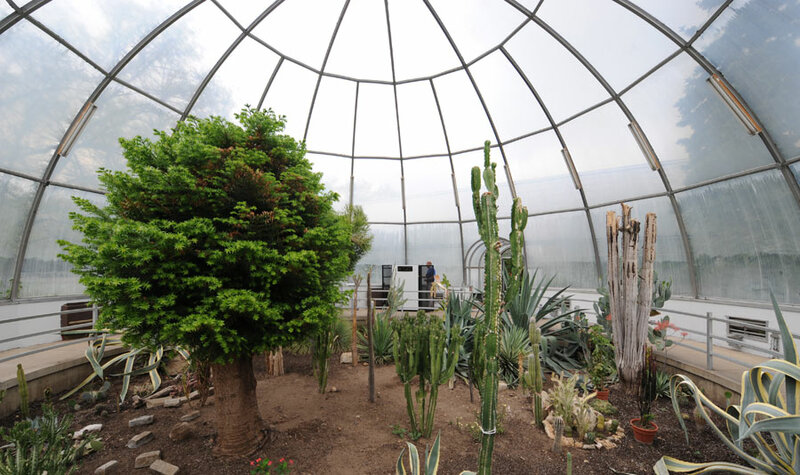 The Potawatomi Conservatories are a haven of tranquility within Potawatomi Park. Here, you can wander paths through lush, tropical foliage, explore the marvelous shapes and textures of succulent plants in the arid Desert Dome, or just sit quietly in the peaceful surroundings. We offer community events for entertainment as well as education. For an unforgettable time, plan your special occasion in the captivating atmosphere of the Conservatories.